We have covered this phenomenon when it popped up on our Instagram feeds last year but it seems that this clickbait scam has reared its head again, this time on Facebook. Looking at the posts on Facebook, the modus operandi is the same. 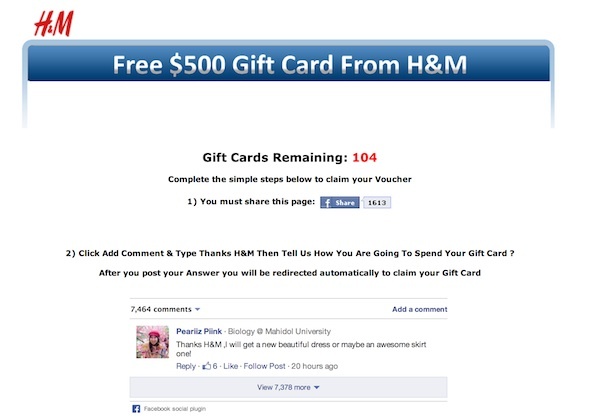 Share a page, comment and apparently you’ll be claiming your giftcard for $500 in no time! It’s a scam. Don’t do this. Here’s the problem with the deal, when it sounds too good to be true, chances are it is. $500 for each person who shares and comments, even limited at 5oo pieces, that’s $250,000 that H&M are spending on a very silly campaign! Not to mention, if they were running a campaign, wouldn’t it be sensible to have it on their server and not http://www.getvalentinegift.com/hm.html or http://3amlak.org/hm.html? Oh and for good measure? 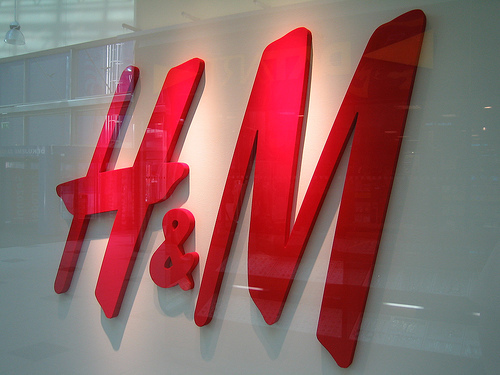 Here’s a statement from H&M Malaysia. For now we don’t know the reason these are popping up or the ramifications, but safe to say, it’s not good. Spread the word, clamp down on these scammers! EDIT: From Joseph Ting in the comments! “The first page was to push people to share the page and then brought to second page where you’ll “need” to do a survey to unlock the page where the page is only an image which looks like a redemption form of some sort.